.It’s the age of Fats Domino in San Francisco. After three years in a Catholic seminary, seventeen-year-old Raymond Sheets meets a girl his age who lives near the campus. Alice Derry is liberated and uninhibited; she challenges Raymond over his choice to live in the strict confines of St. Jerome’s. What follows is a roller coaster of emotion and adventure as Raymond navigates his way through the seminary, with Alice as a constant in the background. 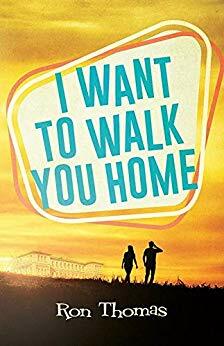 An intoxicating coming-of-age story, full of dysfunction, chaos, and humor, I Want to Walk You Home will remind readers of what it’s like to meet love head-on for the first time and how it feels to question your life’s direction. If you are on vacation in Kauai, you can buy the Paperback book in person from "The Westernmost bookstore in the United States": Talk Story Bookstore.